The Anatomy of the Tooth. A tooth is a tooth is a tooth, plain and simple. Right? No! Teeth are much more complex than what you see on the surface. Just like nearly any other part of your body, a tooth is made up of multiple components. Dakota Dental is here to help you see beyond the surface of your teeth to the full structures below. The outside of a tooth is covered in enamel. This is the glossy white surface that everyone sees. Right under the enamel is the dentin layer of living cells. And within the dentin is the pulp where blood vessels and nerves are located. At the very bottom of the teeth is cementum, which holds the tooth roots to the jawbone and gum tissue. It is important to keep all parts of the tooth structure clean and healthy with a regular, preventive dentistry program. 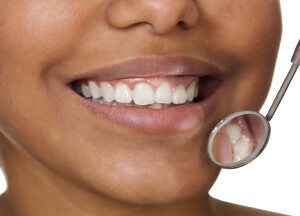 Taking care of your teeth now will pay dividends in the future. That means it is essential to brush at least twice a day and floss once a day to maintain good oral health. Dental preventive care prevents the decay of teeth and teeth cavities. Unless otherwise recommended by your family dentist, use a medium or soft toothbrush for approximately two to three minutes. Brushing longer or brushing too hard can damage enamel and cause gum irritation and tooth sensitivity. Dakota Dental is committed to providing community dental care and dental awareness information to help people of all ages know how to prevent oral health problems. We invite you to schedule an appointment at our Apple Valley Family dentistry center to discuss how to clean your teeth properly to best protect your smile. Contact Dakota Dental online at www.dakotadental.com or by calling 952-431-5774 to schedule an appointment or learn more about keeping your teeth in top condition.